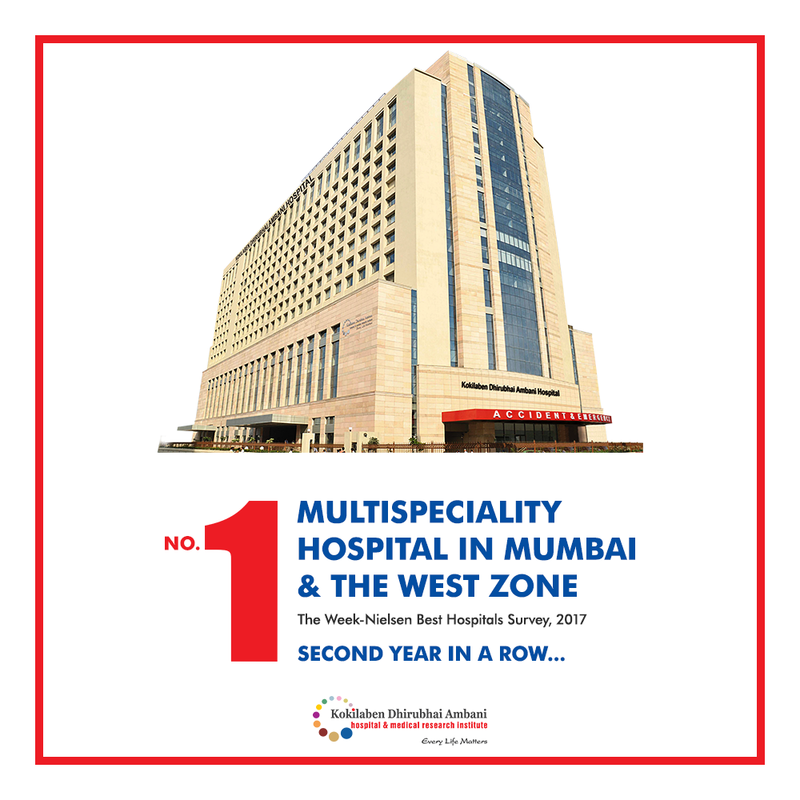 Based on the Week-Nielsen Best Hospitals Survey, 2017 Kokilaben Dhirubhai Ambani Hospital is ranked No 1 Multispeciality hospital in Mumbai and the West zone – 2 year in a row. This award is a testament to our commitment to excellence. We devote this accomplishment to the highly-skilled team of Kokilaben Hospital who has enabled us to do justice to these parameters and provide the world’s best healthcare, technology and infrastructure to our patients, as we believe our patients deserve nothing but the best!